It’s been an absolute joy seeing all of the people around the world participate in the March for Science. The signs were incredible and the message was inspiring. 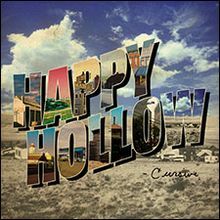 All of the commotion reminded me of Cursive’s 2006 album Happy Hollow. You will probably see a few songs from the album which, honestly, could have been called Hymns for the Heathen, but today we are featuring the song “Big Bang.” Enjoy! https://openlysecular.org/wp-content/uploads/2017/04/HappyHollow.jpg 220 220 Cody Hashman https://openlysecular.org/wp-content/uploads/2015/02/logo-2-500x412.png Cody Hashman2017-04-24 19:03:162017-04-24 19:03:16Music Monday: Cursive - "Big Bang"